We are thrilled to welcome Horizons Ventures as a new partner to help accelerate Saildrone’s vision of a Quantified Planet. Horizons Ventures led our recent $60 million Series B round and deeply shares our core values of using technology to address some of the toughest long-term problems affecting humanity. They join our amazing team of existing investors which include Capricorn’s Technology Impact Fund (SpaceX, Tesla), Lux Ventures (Desktop Metal, Planet), Social Capital (Slack, Box), Exor Seeds and The Schmidt Family Foundation. This latest round brings the total funding raised by Saildrone since its inception to almost $90 million. Since our early days working closely with leading scientists at the National Oceanic and Atmospheric Administration (NOAA) we have always believed in using our engineering know-how to turbo-charge a science-first approach to the challenge of understanding the state of our own planet. We develop tangible solutions, combining the latest advances in composite materials, advanced sensors, photovoltaic energy production, satellite communication with those in big data, machine learning and artificial intelligence. 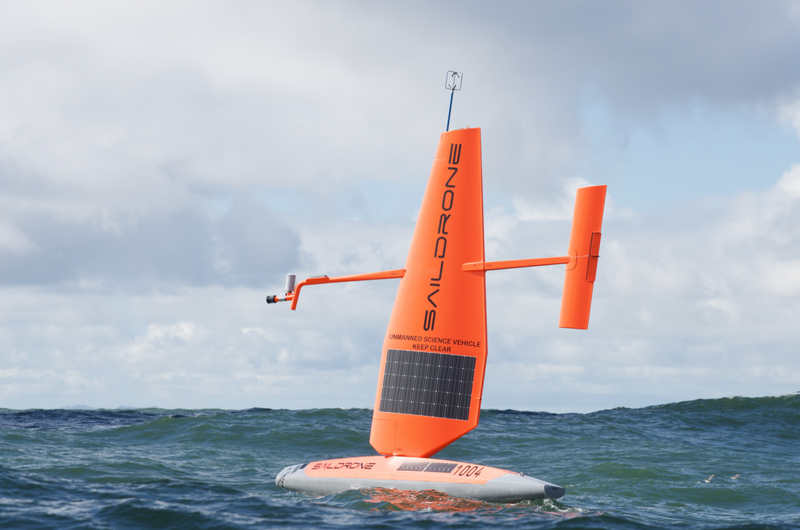 This vertically integrated approach has yielded many successes and the Saildrone, a wind and solar-powered Unmanned Surface Vehicle (USV), is today recognized as a fully operational and highly capable autonomous ocean observing platform. Our bet is that we can collect in-situ data about the state of our planet by deploying a large number of autonomous ocean-going drones, achieving a feat that was previously economically infeasible with traditional ship-based infrastructure. We are quite far down that path — in fact, our initial global fleet of saildrones has already traveled over 250,000 nautical miles on the world oceans, collecting data which has been scientifically evaluated to be of climate-quality level by multiple peer-reviewed publications. Our next step is clear: we are scaling the manufacturing of our drones so that we can cover the entire planet with a target resolution of 6 by 6 degrees, which is equivalent to 1,000 vehicles. In doing so, we continue to partner with leading scientific institutions around the world to help guide the scientific application of this emerging infrastructure, collecting terabytes of data along the way. Scientists use advanced physics-based numerical models running on the latest supercomputers to predict the future state of the planet, including weather, climate, air quality or long term flood risk. Our users agree that better input data means better outputs, and that the high-quality data we are collecting in-situ is helping create a significant shift in our understanding of planetary systems that affect humanity. In the days of the ‘new normal’, these improvements are sorely needed by the large portions of the world’s population that are adversely affected by floods, droughts, storms, fires and rapid changes to their marine ecosystems. We look forward to accelerating our efforts and help deliver improved predictions to the millions who critically depend on them. If you are interested in contributing to our mission, please get in touch. We are hiring top talent across a wide range of disciplines and generally love to start a conversation. Want a peek behind our hangar doors? Check out this great story by our friends at Bloomberg Business. The full release is here. 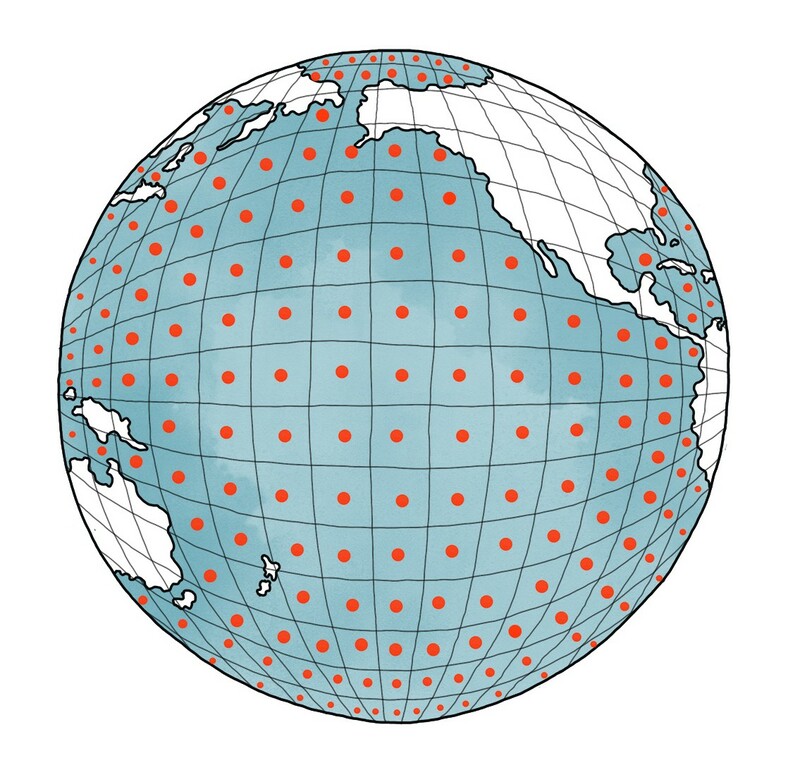 Ocean data redefined. We collect in-situ observations from the world's oceans using a global fleet of wind-and-solar powered drones. This new dataset is helping us improve the understanding of planetary systems that affect humanity.